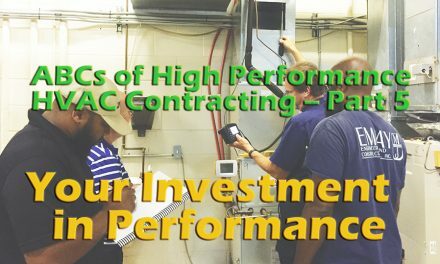 Last month we brought you part one of a two-part series on how professional Performance-Based Contractors™ implemented high performance practices into their companies. 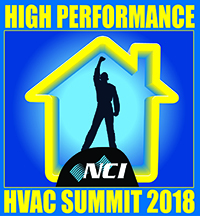 Six contractors sat on a panel that was held during National Comfort Institute’s (NCI) 2018 Summit in Austin, TX. Facilitated by NCI CEO and Chairman Dominick Guarino, panelists interacted with the attendee audience to create a dynamic program of sharing on not only how to overcome the hurdles to implementing performance, but their success stories as well. 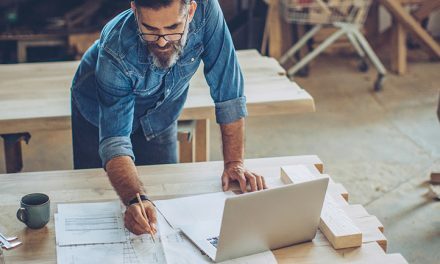 So, without further ado, here is the discussion on how these contractors overcame hurdles and achieved success in implementing Performance-Based Contracting™ into their companies. commitment, and equally important, it requires training. A: Jose Montes: I have been toying with the idea of doing just that, Rodney. With one difference. It would be more for me to better learn how the guys actually operate in the field. Right now we have no ride-alongs. But we do follow up and visit homes after service and installation calls. 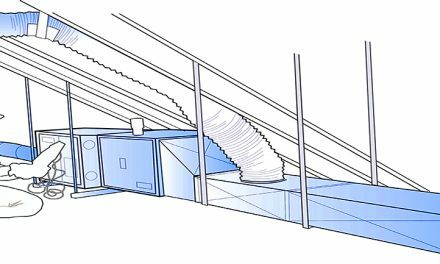 On installations, we’ll do an inspection, talk to the customer, and see how the job was done. We come back with that feedback and talk to the troops about what we found out. There is no customer who doesn’t love it when the owner or manager comes out to their home to inspect the job. It’s just a win-win situation. Today, our service manager goes out after every installation is completed. Paul Wieboldt: Every contractor has two companies: the one we really have, and the one we THINK we have. Training helps us move toward that ‘imaginary’ one. Our training originally was on-the-job focused. In fact, as we began walking down the performance path, we branched out into two businesses. One was the service/installation business. The other was a department that does our third-party testing in-house. So there was an expectation that on every job someone would be there to oversee, followup, and make adjustments. The intent was to be sure we fulfilled our promises to the customer. I found the more I showed up in the field, the more my ‘imaginary’ company became the company I always dreamed of. In addition to training, whether on the job or through classes, we also try to have inspirational staff meetings every Monday morning. This isn’t cheerleading — it’s to find out how everyone is doing. We talk about what are we missing and what could make things better. I find out if any of the techs need me to go into the field with them to see what they’re dealing with. 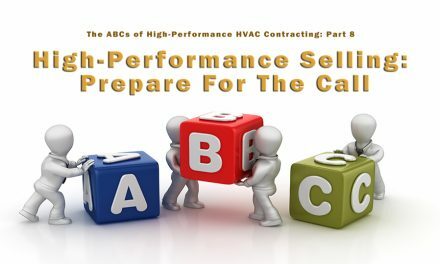 NextTariff Wars: What Do They Mean to the Performance-Based Contractor?